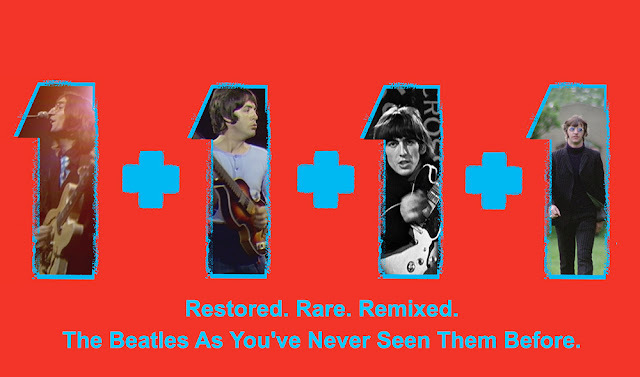 This is a comprehensive review of 1+, Apple's latest release of Beatles music and videos. Is this new product worth the attention of either the discriminating fan, or the casual consumer? And if so, in which particular iteration? There are five to choose from! Read on for a detailed consideration of those key questions. 1+ — as the title suggests — is a sequel to the Beatles' album 1, but a sequel with a significant amount of additional material. It is, first of all, a re-mastering and re-mixing of the music on that previous album release. But 1+ is much more than that; the improved audio was done primarily to complement the release (November, 2015) of 50 Beatles music videos. The original album 1 (released on November 13, 2000) was a compilation of 27 Beatles singles that reached #1 in either the UK or US between 1962 and 1970 — as documented by the Record Retailer Top 50 chart in the UK and the Billboard Hot 100 chart in the U.S. 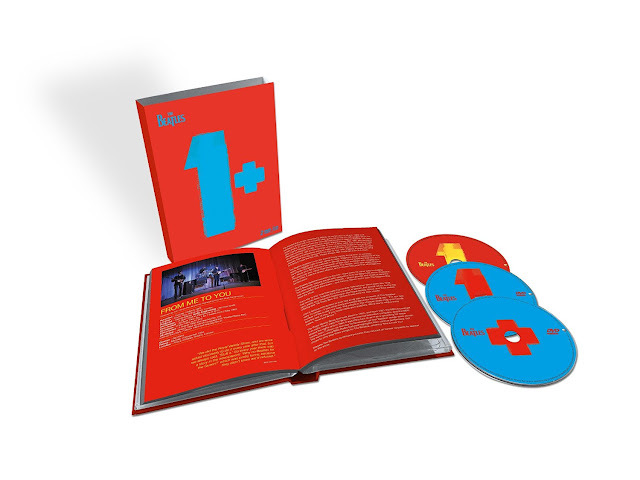 The 1+ package offers a music CD and two discs of video in a DVD or Blu-ray format. The original 27-track compilation (from 2000) was supervised by George Martin, Paul McCartney, George Harrison, and Ringo Starr. Sales of the album exceeded all expectations — all of the material on it, after all, had been released and re-released multiple times, in many different formats. Perhaps it was the convenience of having much of their most popular work available on a single disc that made it attractive — especially to a younger audience, who may not have collected already all the previous singles, EPs and albums. The music featured on 1 was first mastered for CDs back in 1987 and 1988. It was re-mastered in 1993 for the two double-album compilations — the red (1962-1966) and blue (1967-1970) albums. The re-mastering of the tracks for the 1 compilation was done by Peter Mew at the Abbey Road studios. His work has been criticised by many people for its poor sound quality — especially for his use of the NoNoise process (which is designed to remove tape-hiss; but, in the process, also happens to remove high-frequency details from the music). The album was re-mastered again in 2011. 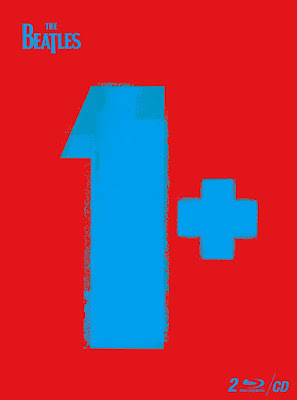 And for this new release of 1+ the work has been re-mastered and — more importantly, as I'll discuss later — re-mixed. The original release of the 2000 compilation was a huge commercial success. In its first year of release, it sold 13.8 million copies, and topped the album charts in 35 countries. Sales currently exceed 31 million. This new release (November 6, 2015) is being billed as a "deluxe version" of the original 2000 compilation. But I consider it a sequel. What's important, here, is not the re-mixed, improved audio quality, it's the two-disc collection of 50 videos available for purchase, along with the audio CD. 5) the CD and two Blu-ray discs (which contain all 50 videos in high-definition). The particular version you might decide to buy (if any) would depend on several things, not the least being how much you are willing to fork out for what is, in most cases, incredibly familiar material. Well, I went for option #5 — the version with the two Blu-ray discs (the Full Monty!). I have been listening to the CD and watching the Blu-ray discs for the past month. I have listened to it all on high-quality headphones — in order to detect differences in the mastering and mixing. Here's a comprehensive account of what I've seen and heard. The significance of this new Beatles package, of course, is the set of 50 videos; but the improved sound is also worthy of consideration. All of the music on 1+ has been re-mastered; most of it has been re-mixed. In addition to the new mono and stereo mixes (done for those listening with a straightforward playback system), there are also new 5.1 surround-sound mixes — for those who have a four-speaker, "home theatre" set-up around their TV. The re-mastering of the 27 tracks on the audio CD is a further refinement of the work done for the 2011 mastering. The audio on the 50 DVD/Blu-ray tracks, however, contains re-masterings from several sources: most of it consists of the re-mastered tracks heard on the accompanying CD; some of it contains re-mastered tracks from the 2009 stereo album releases; some of it features re-mastered versions of BBC Radio recordings; and some of it features the re-masterings of live performances done for film or television. The new audio "restoration" has been produced by Giles Martin (son of Beatles' producer George Martin). The new mixes were done by Giles Martin and Sam Okell at the Abbey Road Studios; and the mastering was handled by Miles Showell and Tim Young. Jeff Lynne (former member of The Move, ELO, and the Traveling Wilburys) and Steve Jay helped re-mix "Free as a Bird" and "Real Love". 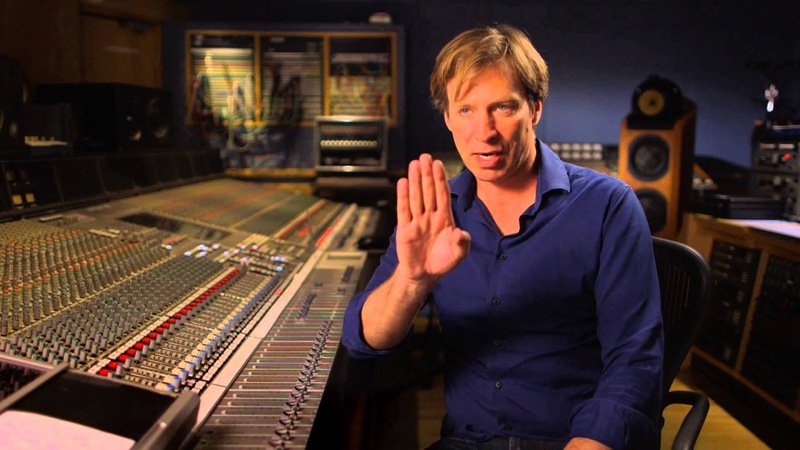 Giles Martin and Sam Okell have explained that they used previous releases of the music as the reference points for their re-mixing work. They did not want to change the placement of instruments in the mix, unless there was a technical reason at issue, or if they felt it gave the individual instrument more presence, or improved the overall sound of the track. Their main aim was to improve the presentation of the vocal tracks and to give the music a richer, fuller sound. Many of the previous stereo mixes had the lead vocals (often double-tracked) placed completely in the right or left channel. Their belief was that the delivery of the song's lyrics would be done more effectively by putting the lead vocals in the centre of the mix. The first changes I noticed were with the vocals on "Can't Buy Me Love", "I Feel Fine", "Day Tripper", and "We Can Work It Out". The two-tracked lead vocals are separated slightly: one is dead centre, the other is marginally to the left or right. It sounds better. 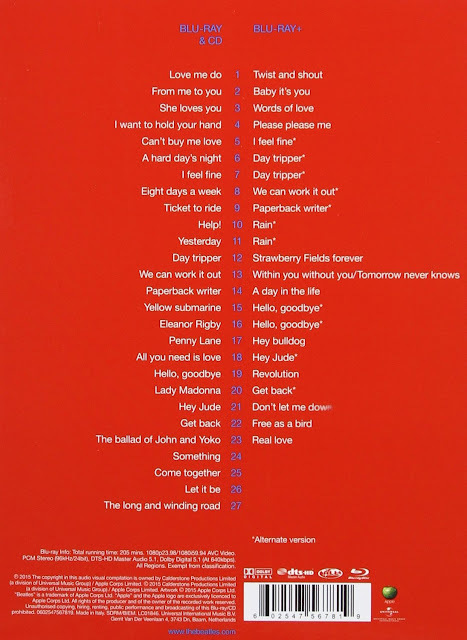 In "Yellow Submarine", and "Eleanor Rigby", previous mixes had the lead vocals all in one channel. The new mix shifts the lead vocals to the centre. The 1+ mixes sometimes shift individual instruments — such as the drums and guitar in "Paperback Writer" — from all-left, or all-right, into the centre. In other tracks, a vocal or instrumental backing that was previously placed narrowly in the middle of the mix has now been spread across the spectrum: to the left, in the centre, and to the right of the mix. A good example of this effect is heard in the string quartet backing for "Eleanor Rigby". Noticeable flubs in previous mixes have also been fixed: near the beginning of "All You Need is Love", for example, there used to be complete silence for about 8 seconds in the right channel; and at the beginning of the first verse of "Eleanor Rigby", Paul's lead vocal used to be heard momentarily in both channels, before shifting over completely to the right channel after a second or two. These sorts of minor discrepancies have been diligently repaired. Some of the more interesting audio changes can be heard in the mixes on the second video disc. "Strawberry Fields Forever", for example, has undergone several subtle changes in instrumental positioning. And it sounds even better! "Free As a Bird" and "Real Love" (created originally for the Anthology series from Lennon's poor-quality home-recordings) have been further improved. The one new mix that I disapprove of is "A Day In the Life". Previous mixes emphasized the druggy-ambience ("I'd love to turn you on") by playing with the positioning of the lead vocals. On the first two verses, Lennon's vocal begins completely to the right, but then slowly drifts to the left. In the last verse, the opposite occurs. Likewise, Paul's lead vocal ("Woke up, got out of bed ...") stays completely in the right channel. In the new mix; those lead vocals are fixed resolutely in the centre. And Lennon's trippy, multi-tracked and extended "Ahhhhh" (which comes at the end of Paul's section — "... somebody spoke and I went into a dream") used to drift from right, to left, and back again. Now it is also stuck rigidly in the centre of the mix. I think the original idea was better — a more effective realization of the lyrics' meaning. Well, you can't get them all right! Overall, though, the music on these three discs sounds great: warm, vibrant and direct. It's probably not enough by itself to justify the re-purchasing of the music CD. But the remixes do enhance the quality of the accompanying videos. The Beatles' career was long over before the arrival of the MTV age. During the 1960s, pop singles got known primarily through radio airplay; but they were also promoted by radio and television appearances. The Beatles made about 125 TV appearances (of one sort or another) in the UK, and participated in about 130 radio programs. 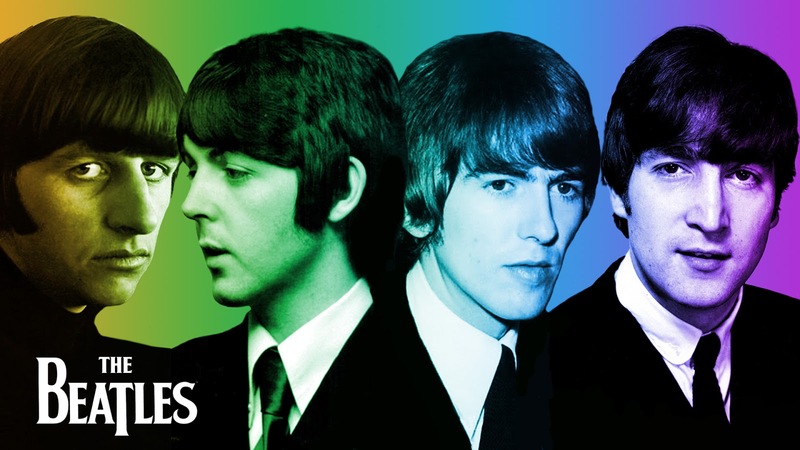 Their busiest period was the Beatlemania years of 1963 and 1964. By 1965, The Beatles were known and loved all over the World; but it was no longer possible for them to satisfy this international market by doing local TV appearances to promote the release of each single. Beginning in 1965, therefore, they began exploring ways of providing TV material for this growing world-wide audience. The first results of this effort were a series of five songs filmed at Twickenham Film Studios on November 23, 1965 by TV director Joe McGrath. All of these videos — "I Feel Fine", "Ticket To Ride", "Help! ", "Day Tripper", and "We Can Work It out" — are included on the first video disc in this package. There are also four alternate takes featured on Disc 2. Some of the songs are done conventionally, with the band on stage miming to the record. On some of the songs, however, McGrath experiments with more creative ideas — the group miming to the music, but using props, and constructed sets. 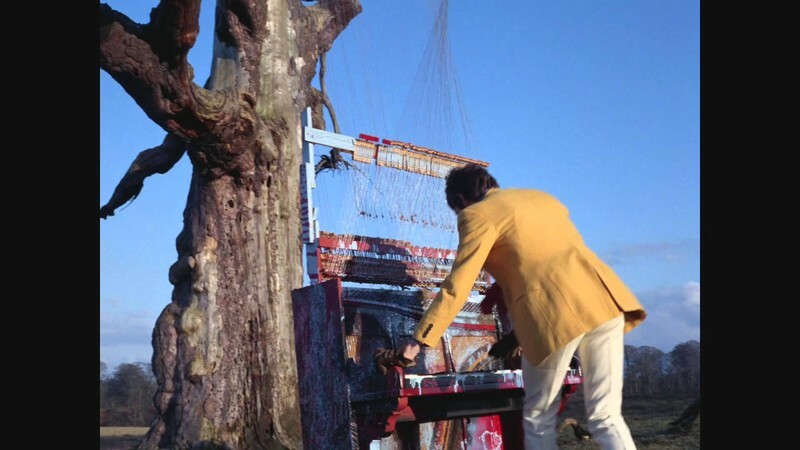 This sort of miming — in which it is patently obvious that they are not pretending to be actually playing the song (Ringo is riding a stationary bicycle during one song, for example, instead of playing the drums) — can be seen as the "great leap forward" in the "language" of pop-music video. These nine videos are in black-and-white, but the image quality is very good. But the first truly excellent videos the Beatles prepared for TV were "Paperback Writer" and "Rain" — the A and B sides of a single released in June, 1966. These were filmed on May 20, 1966 using 35 mm colour at Chiswick House, in London, by Michael Lindsay-Hogg. He would do more film-work for the band in '68 and '69. "Paperback Writer" is on Disc 1; "Rain" appears on Disc 2. Excellent picture quality. "All You Need Is Love" was a performance filmed and broadcast live by BBC-TV for the first ever multi-country satellite TV link-up, bringing together 25 TV networks from around the world, and viewed by an audience estimated at 400 million on June 25, 1967. The vocals and orchestral playing was live, but the band pre-recorded the basic music track. TV broadcasting in colour began in a limited way in Britain (BBC 2) in July, 1967. Full colour service (including BBC 1 and ITV) began in November. So "All You Need Is Love" was filmed and broadcast originally in black-and-white. This video was colourized for the Anthology TV documentary in 1995, and this is the version seen here. The next videos of real quality — "Penny Lane" and "Strawberry Fields Forever" — were created by the Swedish TV director Peter Goldmann. He had been recommended to the band by their Hamburg-based friend (and bass player) Klaus Voorman. Goldmann filmed these two promos in 35 mm colour in early February, 1967. The film he created for "Strawberry Fields Forever" is particularly brilliant. It matches the psychedelic feel of the music perfectly, full of random, surreal touches: slow-motion, backwards, and jumpy footage; extreme close-ups; vibrant, often garrish colour; and a mix of footage shot during both the day and at night. There is no miming or pseudo-miming here; the song is the soundtrack for a strange and apparently meaningless sequence of images — it's a perfect piece of psychedelia — and a precursor of what music videos would be like in the not-too-distant future. Again, the videos for the two sides of this single are divided between the two 1+ video discs. A frame from Peter Goldmann's excellent promo for "Strawberry Fields Forever"
Following the death of Brian Epstein, Paul became de facto leader of the band — it was he who would push them back into the studio, or come up with new ideas for projects they hadn't tried before. The first major example of this was the TV film Magical Mystery Tour, which they produced for Christmas 1967. Credited to the entire band, the filming and post-production work (it took 11 weeks to edit the ten hours of footage down to 52 minutes) was led primarily by Paul. And at the end of that long process, it was Paul who decided to direct the video for their next single, Hello Goodbye. It was filmed on the stage of the Saville Theatre, London in November, 1967. It's probably the least-interesting video — to accompany, perhaps, their least-interesting single. The footage of them miming to the song alternates long, high shots of the band from the back of the theatre, with close-ups done mostly from stage-right (so that Paul is always in the foreground!). The "hey-la, hey-lo-ah" reprise at the end features the incongruous sight of the Fab Four in their Sgt. Pepper outfits surrounded by a dozen, or so, gyrating hula-girls. The one nice touch, however, comes at the end — they are seen posing, without instruments, in their old collarless suits. Trim suits from 1963; long hair from 1967. Three different videos were created from this footage; the two alternate takes are found on Disc 2. The next effort was much better - created by someone who knew what he was doing. 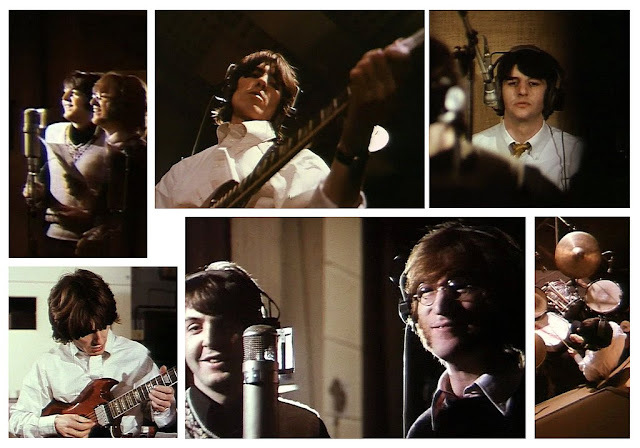 Commissioned by Apple Films, TV cameraman Mike Molloy was invited into the studio to film The Beatles in the process of recording "Lady Madonna". But when he arrived the band were busy, instead, recording "Hey Bulldog" — a song that would be used in the animated film Yellow Submarine. Molloy filmed extensively, anyway, and he was able to match the footage he shot with the "Lady Madonna" audio track. The vocals weren't synched, but the cutting of the visuals managed to combine well with the momentum of the music track. This promo was first aired on BBC's Top of the Pops on March 14th., 1968. During 1968 and 1969, The Beatles came to rely on Michael Lindsay-Hogg to direct their videos. First came "Hey Jude". It was filmed "live" at Twickenham Studios on September 4th., 1968. 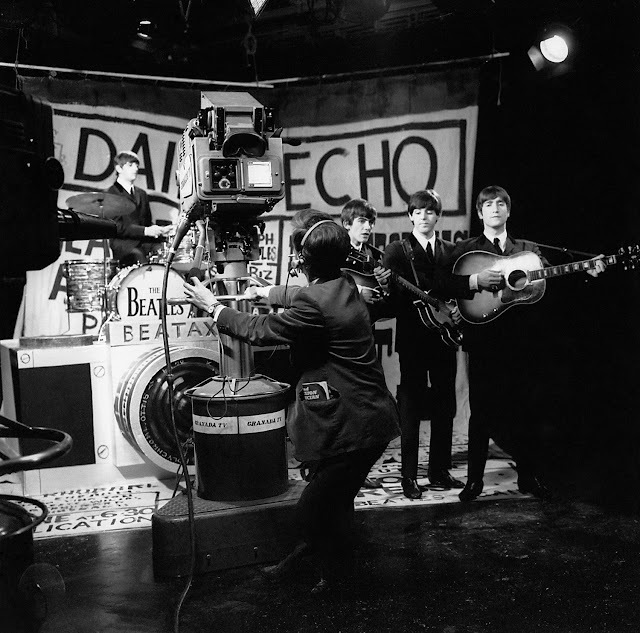 They filmed a "live" performance because the Musicians' Union in June, 1966 had secured a ban on pop singers and groups miming to pre-recorded tracks on television. 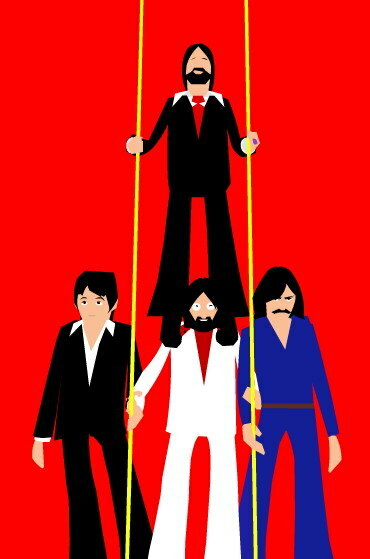 The Beatles managed to cheat their way around this ban several times by pretending to do completely live performances. But on "All You Need Is Love", back in 1967, and on "Hey Jude", only the lead vocals are actually filmed live. The rest of the band is miming to a pre-recorded backing track. "Hey Jude" was first broadcast on TV on David Frost's latest television program, Frost On Sunday, on September 8th. — only four days after it was filmed. The B-side of the "Hey Jude" single was "Revolution". Lindsay-Hogg filmed a live performance of this at Twickenham Film Studios on the same day as they did "Hey Jude". "Revolution" is included on the second DVD and Blu-ray disc, along with alternate takes of David Frost's introduction and "Hey Jude". The promo for "Get Back" was a careful edit of three separate performances on the roof of the band's Apple headquarters at Savile Row in London. Lindsay-Hogg had been filming a documentary of the band at Twickenham Studios in January, 1969 (it would later be released as Let It Be in late-May, 1970). The whole environment at Twickenham had been awful. To complete the project on a higher note, the band invited Billy Preston to join them on keyboards whilst they did some recording at the Apple building on Savile Row. 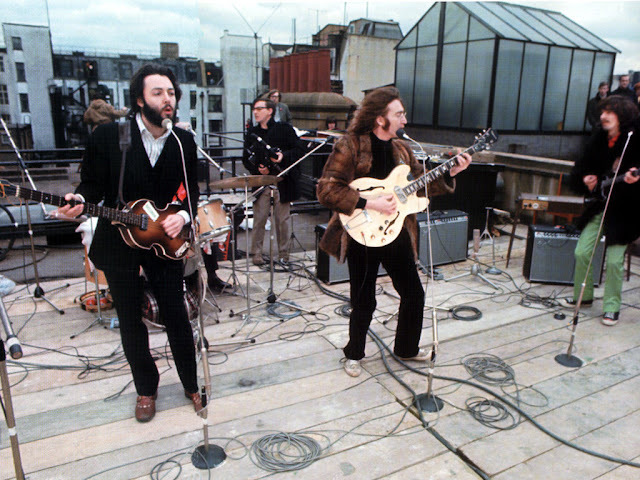 On January 30th., they played live for about 45 minutes on the roof (about half of the footage was included in the final edit of the film). And then they filmed some live performances in their newly-built recording studio in the basement. 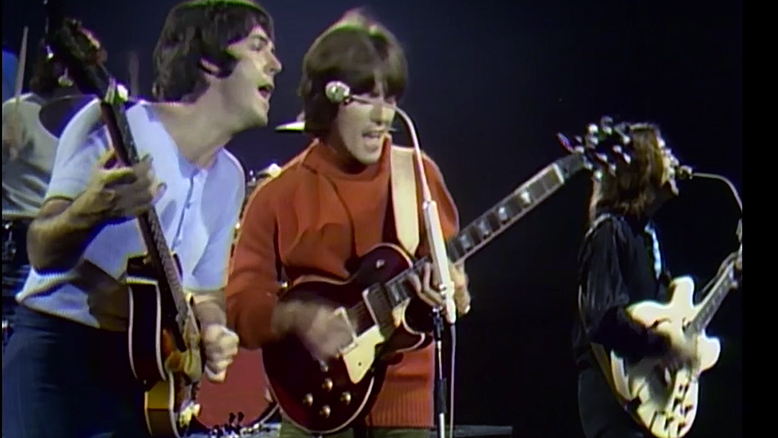 The familiar promos for "Get Back", "Let It Be" and "The Long and Winding Road" were created from the footage filmed on these two days. The version of "Let It Be" seen in 1+ is actually reconstructed from the original footage used in the documentary film. The version of "The Long and Winding Road" seen on the first DVD or Blu-ray disc is the simple band arrangement of the song, without the overblown "wall-of-sound" orchestration that Phil Spector added later to the original track, when he was producing the Let It Be album. In addition to the work of Michael Lindsay-Hogg in 1968-1969, Apple Corps also commissioned — through its own entity Apple Films — film-makers to put together promos for "The Ballad of John and Yoko" and "Something". "The Ballad ..." includes out-takes from the Let It Be film and private footage shot of John and Yoko in Amsterdam, London, Vienna, and Paris (dating from January-April, 1969). 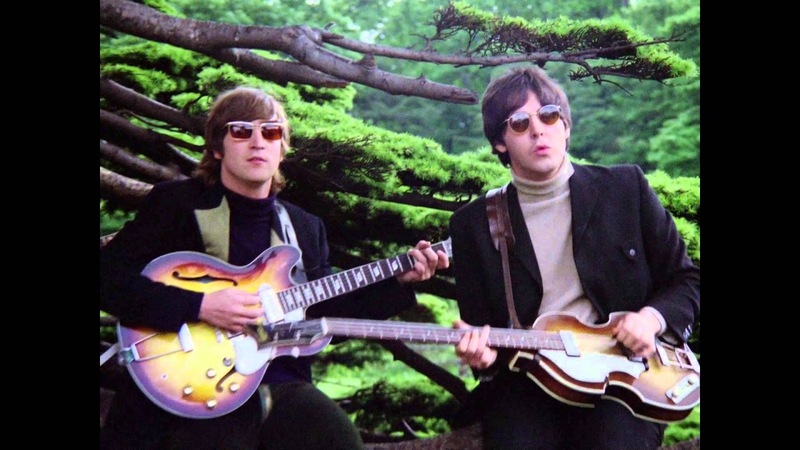 The footage for "Something" featured all four Beatles filmed separately with their wives: John and Yoko at their Tittenhurst Park mansion in Ascot; Paul and Linda at their farm on the Mull of Kintyre; George and Patti (she was the subject of George's love-song) at their "Kinfauns" bungalow in Esher, Surrey; and Ringo and Maureen at their "Brookfield" house in Elstead, Surrey. This promo was only shown once on British TV — in early November, 1969 on Top of the Pops. So much for the contemporaneous music videos ("promos"), which were released to TV stations around the world during the band's career. Now it's time to consider the wealth of other video and film material included in the "music videos" found on these two discs. Of course, it's this other stuff that would probably be of particular interest to avid Beatles' fans, rather than the overly-familiar material I've been discussing so far (well, most of it, at least). Both discs include complete "performances" from early television broadcasts. 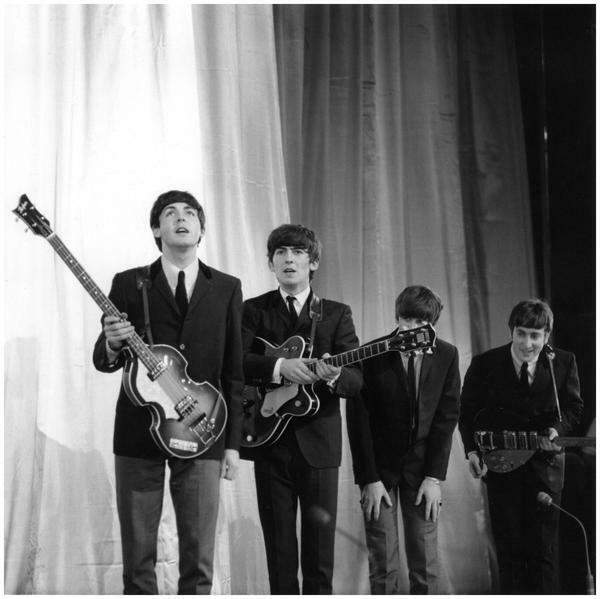 Some of these, however, show the band miming to the single: "Twist and Shout" at Granada TV in Manchester in August 1963 (with John in an unfamiliar stance, on the left side of the stage), "I Want to Hold Your Hand" filmed again at the Granada TV Centre in Manchester, in late-November, 1963 (showing both George and John "playing" acoustic Gibson guitars on a track that obviously features electric guitars! ); "Can't Buy Me Love" on ITV's Around The Beatles in April 1964 (George and John shown with their Rickenbacker electric guitars this time, but the cameraman focuses mostly on John, even though it's a double-tracked lead vocal by Paul on this single — who would have noticed, or cared about, such details back then! ); and alternate takes of "Paperback Writer" and "Rain" filmed by Michael Lindsay-Hogg in May, 1966 at Studio 1, Abbey Road studio especially for the "Ed Sullivan Show" (these TV show-quality videos are far inferior to the 35 mm films Lindsay-Hogg shot the next day at Chiswick House). Much more interesting, of course, are the real live performances: "From Me To You" performed at the Royal Variety Performance (November, 1963); "She Loves You" on SVT's Drop In program in Sweden (also November, 1963); "Please Please Me" from the band's first appearance on the Ed Sullivan Show (February, 1964); "A Hard Day's Night" on stage in Paris for RDTF's Les Beatles TV show (June, 1965); and "Yesterday" on the Ed Sullivan Show in August, 1965), with Paul singing live to a pre-recorded backing track of three violins. And then there are "new" music videos, which use the original recordings and match them to contemporaneous film footage. There is some precious material included in these kinds of videos. "Love Me Do" shows Brian Epstein at work in the Record Department of his family's NEMS store in Liverpool and some candid footage of the Beatles on the Mersey Ferry. "Baby It's You" includes footage of The Beatles recording for BBC Radio, and then emerging from the BBC's Paris Theatre (it's the theatre front pictured on the cover of Live at the BBC). This brief 8 mm footage in front of the Paris Theatre (on Lower Regent Street in London) was filmed on April, 1963 by Kevin Neill, the guitarist of the Karl Denver Trio, who were performing on the same bill. This footage is shown in the original black-and-white and, then, in a colourized version. At the end of it we see The Beatles driven off in their "road-van". "Words of Love" includes various candid film clips of the band on their travels throughout 1963. Surreal, doodle-like animated effects have been added to the black-and-white footage. "Eight Days A Week" features a new video montage of material filmed around the historic Shea Stadium concert on August 15, 1965, in front of 55,000 screaming fans. There is more. "Yellow Submarine" and "Eleanor Rigby" — featured on Disc 1 — were released together originally as a double A-sided single in August 1966. The videos here consist of material from the Yellow Submarine animated film, which was directed by George Dunning and released in 1968. 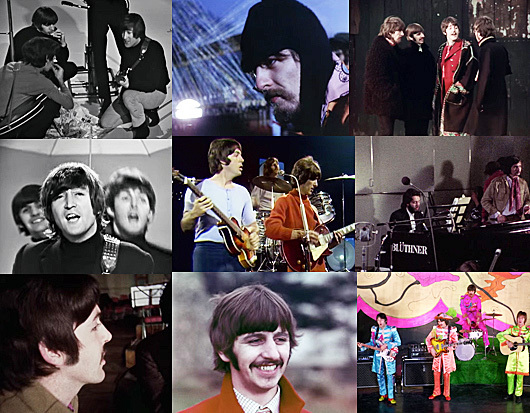 The "Yellow Submarine" video is a new edit of material from the film; "Eleanor Rigby" uses an original sequence. The audio track for "Within You Without You/Tomorrow Never Knows" is an interesting mash-up of tracks from two different albums: the former is from Sgt. Pepper's Lonely Hearts Club Band; the latter from Revolver. They were re-edited together by George and Giles Martin as a piece for the Cirque du Soleil show Love. 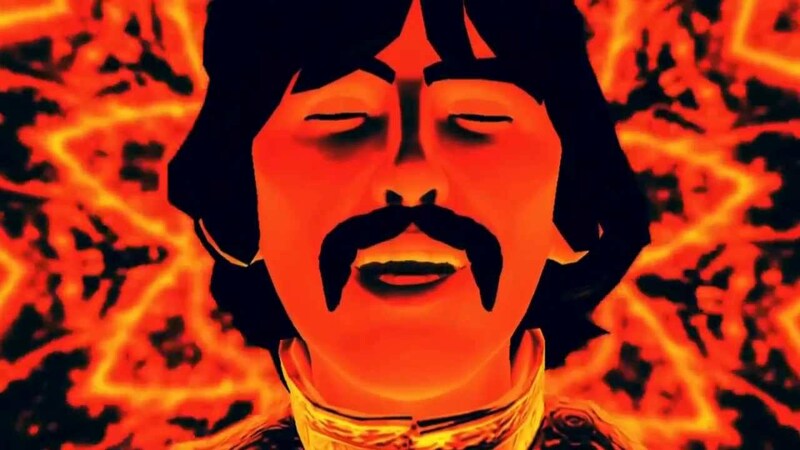 The animated film was directed by Simon Hilton, using material from the Apple archives: specifically, he uses footage from "Rain", "Strawberry Fields Forever", "Penny Lane", "Blue Jay Way", "Fool on the Hill", "Hello Goodbye", "I Am the Walrus", and "All You Need is Love". Some very appropriate titles, there, for this very psychedelic track, found on Disc 2. "Hey Bulldog" was a track The Beatles recorded for inclusion in the Yellow Submarine film. As I mentioned earlier, the band was working on that song in the studio in mid-February, 1968 when Mike Molloy came in to film footage for a "Lady Madonna" promo. Wrong song! But Molloy was able to match the footage he shot with the "Lady Madonna" track. 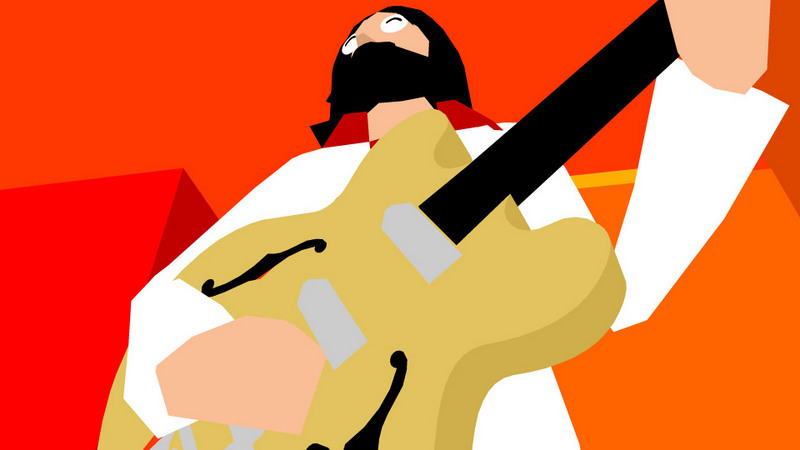 When Yellow Submarine was restored in 1999 for global distribution, an animated sequence for "Hey Bulldog" (left out of the original American release of the film) was included. At the same time, Molloy's original footage was put back together and re-edited. This great R&B-inflected rocker is the best song from the film — even though it was done as a bit of a throw-away. And this video is significant because it was one of the few times they allowed themselves to be extensively filmed whilst recording a finished track. It also shows John and Paul having a whale of a time in the recording studio — just before the rot started to set in. This video is on Disc 2. 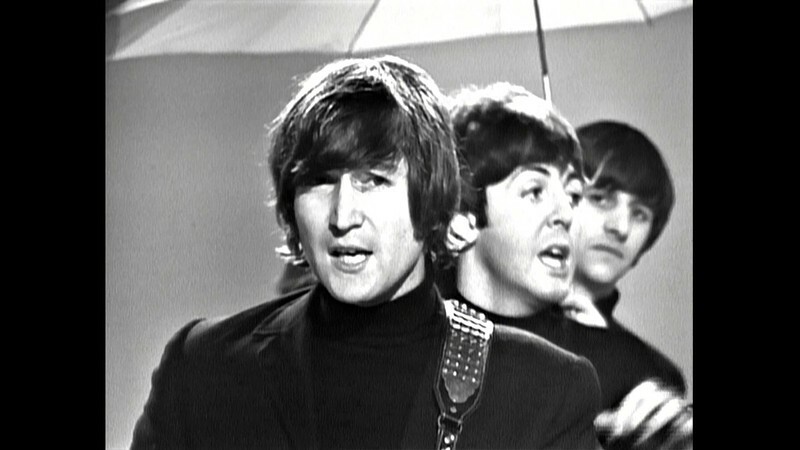 The video created to accompany "A Day in the Life" was directed by The Beatles and produced by Subafilms. 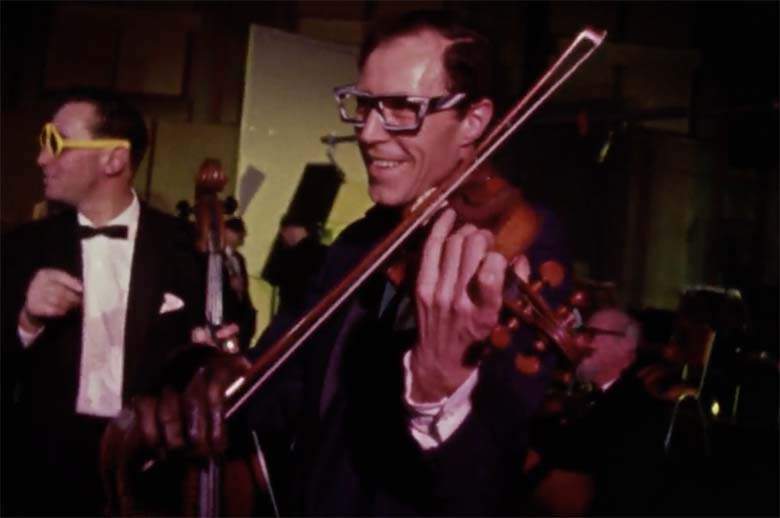 The footage was shot in Studio One at Abbey Road on February 10, 1967 — the day that 40 orchestral musicians were brought in to record the two frenetic climaxes that occur in the middle and end of this amazing piece. This video is quite an achievement in itself, capturing the heady, disturbing quality of the song. "A Day in the Life" was banned by the BBC (because of its drug references) so this innovative and creative little film — a unique document of a ground-breaking track — never saw the light of day in that amazing year. You can find it now, however, on Disc 2. Better late than never! The video clip for "Come Together" on Disc 2 was created in 2000 for the launch of The Beatles official website thebeatles.com and the first release of the 1 album. It was created by Melon Dezign. High quality video wasn't available on the internet yet, because of the limitations of the 56k connection-speed. This is the first time the video can be seen in all its glory. Disc 2 concludes with the two special videos created for the Anthology CD sets. Both songs were John Lennon home-recordings, with very low-fidelity sound. Yoko Ono gave the tracks to Paul, George and Ringo, so that they could improve the sound and overdub parts — creating two new Beatles recordings. "Free As a Bird" was recorded by John in about 1977. The re-edit was done in February and March of 1994 for Anthology 1. The incredible video was directed by Joe Pytka. It aims to create a birds-eye view of Beatles locations (especially Liverpool), making visual reference to two or three dozen Beatles songs. It won a Grammy Award for Best Short Form Music Video in 1997. "Real Love" was recorded by Lennon some time in 1979. It was re-edited for Anthology 2 in February 1995. The accompanying video was directed by Kevin Godley and Geoff Wonfor. 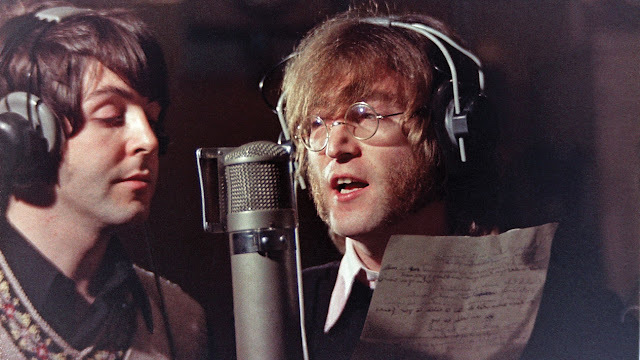 It combines footage of the three remaining Beatles overdubbing their parts onto Lennon's home-recording with archive footage of the group, and footage Wonfor filmed in 1995. Jeff Lynne produced these final two tracks. 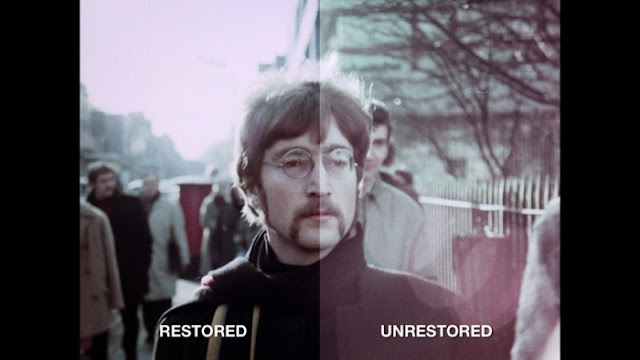 All of the video and film footage in this package has been painstakingly restored to their original, pristine condition — under the supervision of Mark Bonnici and Graham Jones. Faded colour has been restored. Dirt, blemishes and spots have been removed. Long scratches, cracks, and breaks in the film have been repaired. Some of this visual material looks better now than it ever has — thanks to being transferred to a high-definition format. Not surprisingly, the restored 35 mm colour film is tremendous! You may have seen a lot of this stuff before, but in its restored, high-definition, Blu-ray format, it cannot fail to impress. Well, here we have another major Beatles release. Is it worth adding to your collection? As always, of course, that depends: it depends on how much of this material you already have; it depends on your level of commitment to the band; and it depends on how much disposable income you have. If you've got the music already — in one recorded format or another — the single audio CD is not worth the added investment. Yes, the re-mixing and re-mastering makes the music sound marginally better than ever. But that's no reason to buy it all over again. It's the videos that make this product attractive to the ardent Beatles' fan. 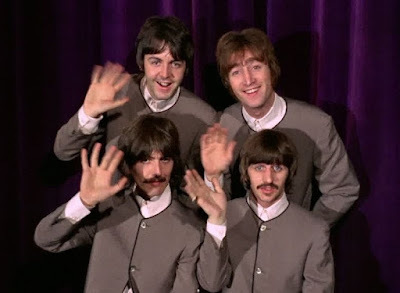 Of course, some of those videos are overly-familiar and not that interesting — they've probably worn out their welcome: "Penny Lane", "All You Need Is Love", "Hello Goodbye", "Hey Jude", "Let It Be". But there are others that are tremendous — any serious fan would want to have these high-quality versions of them: "Paperback Writer", "Rain", Strawberry Fields Forever", "A Day in the Life", "Hey Bulldog", "Get Back", "Don't Let Me Down". And there is a lot of candid footage shot in the early years (1963 seems to be particularly well-represented) that will thrill the older fan. We get glimpses of Beatlemania in both the UK and The USA, and a sense of the incredibly chaotic daily life the Fab Four had to endure at the peak of the madness (1963-1965). Is the single DVD or Blu-ray disc enough? The one which has the videos that accompany the songs on the original 1 album? Not for me. Several of the very best videos are on the second disc. What's the point, I ask you, if you don't have the restored video for "Strawberry Fields Forever" or "A Day in the Life" or "Hey Bulldog"? By the time The Beatles were engaged in some of their most creative and innovative recordings and videos, they had left live performing behind. Some may wonder how good they really were as a live band. This collection may go a long way in answering that question. Of the 50 tracks on the double-disc collection, there are 13 live performances — on stage or recorded for broadcast on TV or the "wireless" (radio). The evidence shows they were incredibly tight. Why not? They had been performing nearly every day of the week for four years. Is the product worth the money? Well, the audio and video is of the highest quality. And Apple Corp has always been an honest and reliable purveyor of Beatles' material. They don't flood the market with pointless re-issues and shoddy product. Everything they produce is done with care and attention to detail. Take this particular release as an example. The double Blu-ray version comes with a 124-page full-colour booklet. Each of the 50 tracks on the two discs gets a double-page spread — including a photograph, a brief essay about the music and the film (or video) footage, details about the recordings and filming (dates, locations, releases, directors, companies, stations, etc.). Everything the discriminating fan or historian might want. And for a few videos on each disc there are brief introductions by Ringo and commentaries throughout by Paul. So, there you have it. Are you ready now to make that decision?! Buy or not to buy? And in which particular iteration? I think I made the right decision myself. This is the definitive "music video" collection of Beatles' music. Enjoy.